There are countless thoughts and theories about spirit and about healing, which span thousands of years. I do not wish to become involved with debate over words, especially not the word "spirit". There are literally millions of opinions regarding the meaning, and the existence or non-existence, of spirit. I only wish to impart my small perspective. I want to share what my experience has been, and not get lost in the mind. 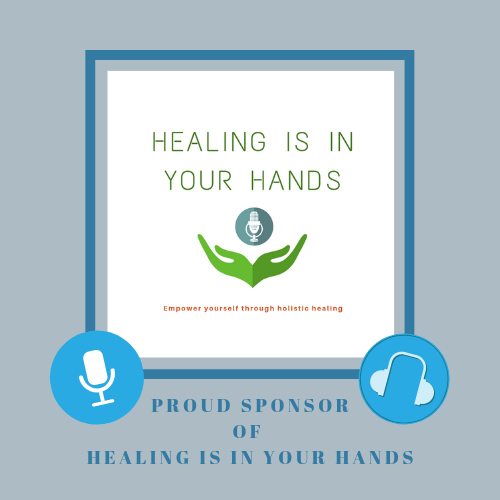 Healing is facilitated by our heartfelt intention and feeling to bring benefit to another. This is true no matter how we choose to go about healing. Whether we choose a holistic approach, an allopathic approach, a Traditional Chinese Medicine approach or a massage approach, always the best thing to do is to have a heartfelt approach towards the person who needs our help. Perhaps this is compassion. Perhaps this is love. We can help to invoke this feeling by becoming more aware of our alignment: How do our body, our heart, and our mind line up? What do I mean by alignment? Alignment of our physical body is useful, with a straight and relaxed spine, and the head on top, above the neck and shoulders. If we can achieve this, our body often feels more at ease with fewer muscular tensions. Certainly this is useful for our health and well being. But there is an alignment which I find much more powerful and useful in our intent to heal. It is an alignment that demands our attention be more inwardly focused. The mind which is most commonly experienced in the head, and the heart, which is most commonly experienced as the place of deep feeling in the chest, can be aligned with each other. The heart can infuse the mind with love, and the mind can surrender itself into service of the heart's love. We are alive here on the earth so it is important to put our roots into the earth. Also, there are the dimensions or energies or vibrations of spirit which are vitally important to our lives and happiness. What do we do? How can we put these ingredients together- the earth, the heart, the mind, and the other dimensions of spirit? A simple thing is to feel ourselves as a vertical column, to feel or perceive our awareness reaching straight up through our body, above the top of the head to all dimensions. And also to feel our awareness resting down through our body and feet into the benevolent earth. This is a much more powerful support of our intent to heal and to maintain our own health, than just physical alignment. Let us allow our imaginations to work. We can pretend that a column of light is extending up and down through our bodies. We can imagine that this light extends up without limits through the sky and into outer space. Let's take a moment to do this. Take a long and deep breath in, then relax on the exhale. Now imagine, or pretend, that a beautiful column of light is shining through you. If you look upwards, it extends to the limits of your perception, to the source of all creation. If you look down, it extends deep into the very center of the earth. This column of light is the strong trunk of a tree allowing the branch of our hearts to open more, and our minds to become peaceful. Our sense of vertical alignment is much more important than our physical alignment. This alignment allows the pure energies of spirit to flow more easily through us. This can really be experienced as something flowing through us. It might be tingling, electricity, vibrations, heat, coolness, light or sound. Stay open to notice how you can perceive it. Practice noticing what is subtle and it will become more obvious. We must feel love for who or what we wish to heal. I assume that we all want the experience of love, and that love is the force that binds us all together. For healing to occur, the feeling of love, thinking thoughts that invoke love, or simply choosing to feel love, is most important. Our task is to love, not to fight- to feel love and impart love. I feel that it is best to not to do battle, even with the worst of problems or diseases. If in the end we want to feel love, and have faith in love, then let's start at the beginning with love too. Inspiration from love will guide all paths of healing. Healing is for our patients. It is about improving their relationship with themselves, whether it be with their bodies, with their emotions, with their minds, or with spirit. If we can love our patients, then perhaps their hearts will ignite by a spark from our hearts. They will feel our love, which can enable their hearts to open even in the midst of disease and difficulties. As healers or doctors of any tradition, our first job is to check our alignment and to remember love. Remember ourselves as an infinite column of light. And remember the deepest places of our hearts to let the beautiful feelings shine out. Let's do this first. Then we can move forward to make decisions and treatments for our patients. Then we can trust that we will receive the inspiration we need to help others. All of our training will then be put to use to do the greatest good.